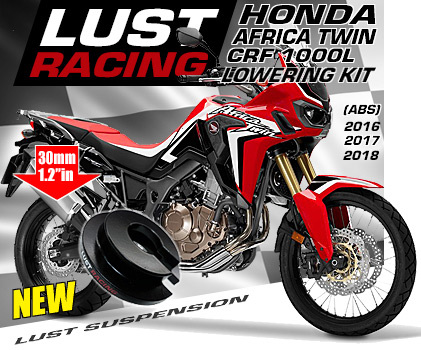 Honda Africa Twin CRF1000L lowering kit by Lust Racing. This lowering kit lowers the seat height by approximately 30mm (1.2"inch) on your Honda CRF-1000L Africa Twin year models 2016 to 2018. The lowering is achieved by replacing the coil spring retainer in the rear shock absorber with a new lowering one made by Lust Racing. This is a very good modification for shorter riders who have difficulties to reach to the ground with both feet. By lowering the bike the rider can reach the ground and will feel more confident riding as stopping in traffic lights no longer will be a worry. As a result the rider can enjoy riding the bike feeling more confident. This high quality rear shock absorber lowering kit is designed, engineered and manufactured in UK. 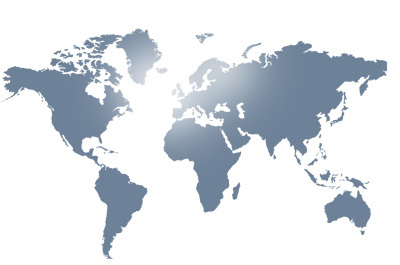 Will fit Africa Twin year models 2016, 2017 and 2018. Now also lowering kit for Honda Africa Twin Adventure Sports 2018. This lowering kit from Lust Racing is made in aerospace 6061-T6 aluminum and finished in black powder coating for long lasting luster and excellent corrosion resistance. The lowering kit is supplied complete with installation instructions. In order to install this kit you need either a pair of coil spring clamps or a professional rear shock coil spring compressor. Follow the link to find all our Honda motorcycle lowering kits The lowering is measured vertically from the rear axle to the upper part of the seat unit. The seat height lowering at the riders position will therefore be approximately the same as the specified lowering for each kit. Fitting a lowering kit will increase high speed stability and increase rear wheel traction (grip). No need to tip-toe on the bike just install a lowering kit from Lust Racing. Manufactured in Britain by Lust Racing Ltd. Finished in corrosion resistant black powder coating with Lust Racing logos.